Edison became a successful inventor. Greg touched on the point that it was perhaps because of his earlier life, that he stuck at inventing things for so long. All his life he’d experienced failure; so when he started failing with every invention he was trying to create at the time, it was just an average day to him. Hence, he kept on going because he loved what he did, and finally succeeded after failing over 1000 times. Still think you’re incapable of achieving great things? Here are some of the most famous Thomas Edison quotes to help you eliminate those doubts in your mind. You are capable of great success. Thanks for checking out these famous Thomas Edison quotes. I really had no idea just how difficult Thomas Edison had it early on in his life. It just goes to show that we really can’t doubt what we’re capable of. If you find something you love, and you stick with it; you can go far in the world. 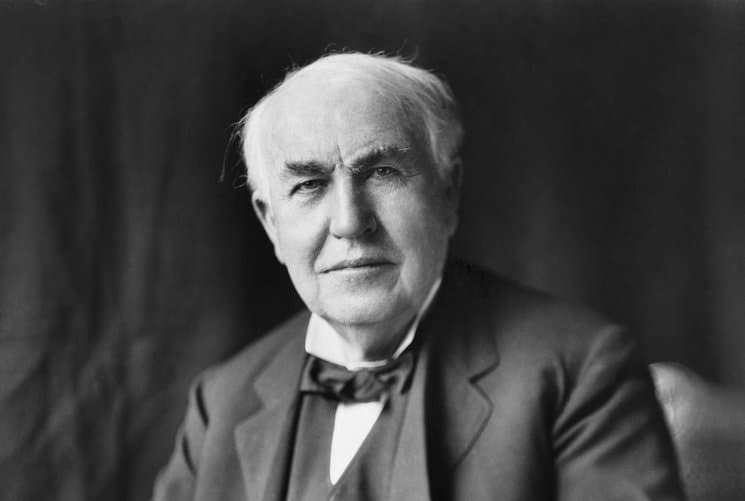 Which are your favorite Thomas Edison quotes? Leave a comment below.